Finding that Dr. Dean M. Clerico of Valley ENT Sinus and Allergy in Forty Fort, PA failed to inform his patient of the risks associated with correcting her deviated septum, a Luzerne County jury found for Plaintiff, Jane Clements Smith, on the issue of lack of informed consent. 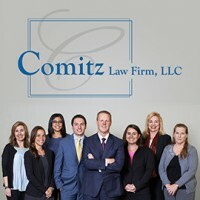 The Plaintiff was represented by Attorney Jonathan Comitz. The Plaintiff had claimed that Dr. Clerico never told her about the risks related to that specific surgery. The Plaintiff developed a complication and, as a result, sued Dr. Clerico and Valley ENT. At trial, the Plaintiff sought money damages for the costs to repair the complication and for pain and suffering. Dr. Clerico denied any wrong doing. The medical malpractice trial in Luzerne County lasted four days.